Using reclaimed, found or legacy-cut wood Timothy Hellum of GripStir crafts kitchen tools that fill your grip and warm your heart. There is almost nothing like holding a handmade tool that you can use every single day. More than art, these tools become trusted friends in one of the busiest rooms in your home. Timothy has been working with wood off and on for many years, starting in his father’s woodshop and being taught careful use of and care for tools. The source material for utensils on this site is found, reclaimed or legacy-cut lumber, in an attempt to not only reduce ecological footprint but extend the life of existing wood. All materials are locally sourced. 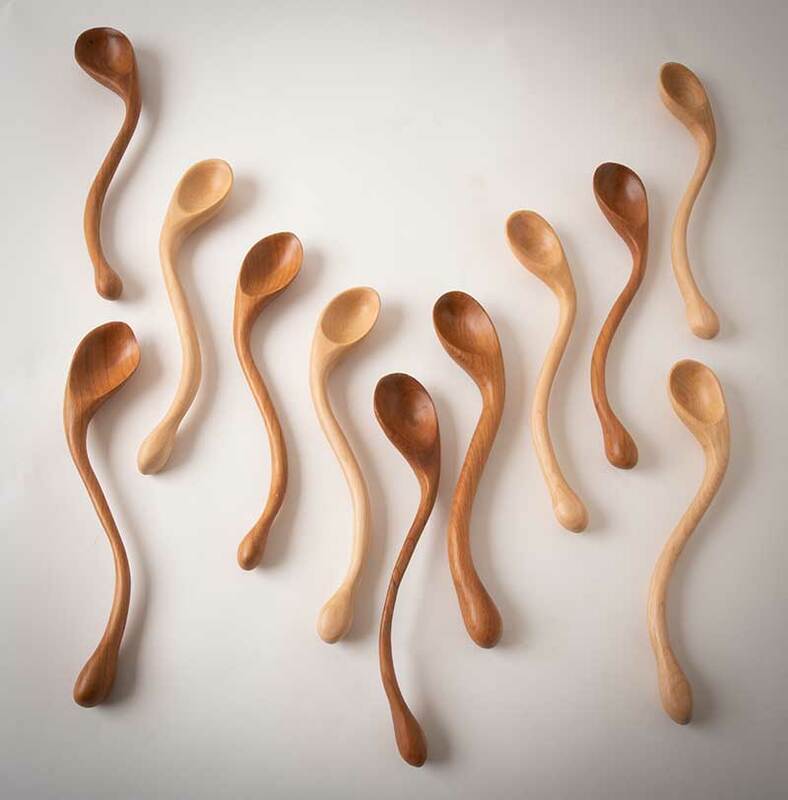 He works mainly with cherry for the central core of the butter knives and spatulas, while Birch makes up the curly, serpentine spoons in their entirety. He also works in maple from time to time, if available. For either side of the butter knife and spatula hafts, he uses mainly butternut, but also cherry or birch on occasion. Butternut is sourced from legacy wood, in large part because butternut is now an endangered species due to the prevalence of the Butternut Blight. When opportunity presents, Timothy will work with reclaimed timbers of red pine and curly oak from barns and old farmhouses. Posted on April 9, 2019 by Lory MacDonald.